TEXAS UPDATE! Here's a sneak peek of the first of the seniors hitching a ride back with us to Illinois, and these smiles say it all! Welcome to Young at Heart, Pearl (age 10)! The big humane organizations in Chicago and around the country have helped evacuate so many of the pets that were in the shelter systems before the hurricane hit, that many of the pets remaining in the Houston area are now waiting to be reunited with their people. In the weeks to come, they may need new homes as well, but right now they need to stay put so that their people can find them. With Young at Heart being a "little guy", we were very grateful to meet Tanya of Paws 4 Life who not only has transported a bunch of Hurricane Harvey pets out of danger, but also connected us with some smaller shelters that needed help after Hurricane Harvey hit. And so several senior pets that had already been in the smaller shelters before Hurricane Harvey hit, or had been surrendered by owners after, will be welcomed to the Good Life at Young at Heart! We couldn't do this without your help, and we couldn't do it without our amazing foster homes who offered to double up on foster pets so that we could help Harvey pets without forsaking senior pets in our area at the same time. You guys are amazing! 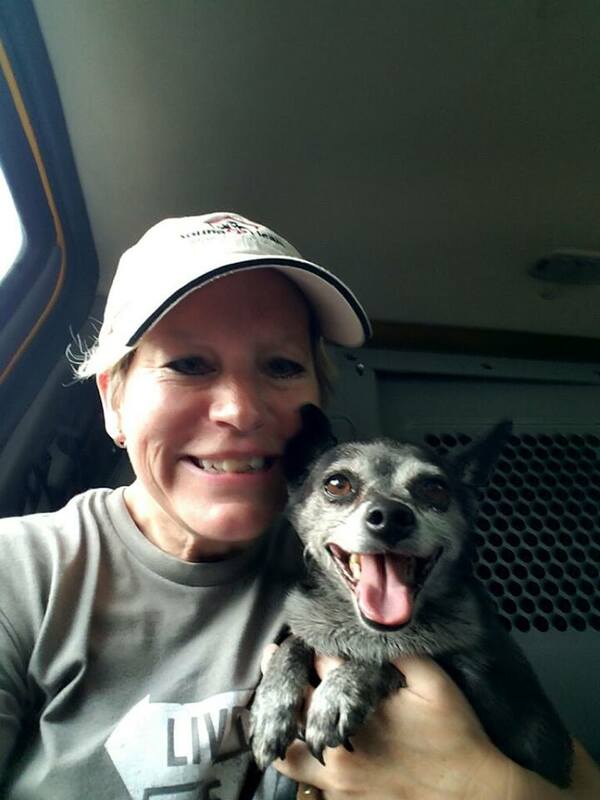 A big thanks to our volunteers Irene (pictured) and Danielle for driving the rescue van back from Texas! And a big thanks to Destination Pet for renting the cargo van so that we can save some lives! We'll be leaving our special Hurricane Harvey Paypal link open for donations for the senior pets coming back with us. The seniors coming to Young at Heart will need vetting, dentals, heartworm treatment and more. When they are all back in Illinois, we'll be busy betting to know the new rescues. We don't know much about them right now. But they'll all get full geriatric veterinary work ups and, when healthy, will be ready to meet new families. We'll also be making a donation to Paws4Life to support their essential work in the weeks and the month to come, and as a thank you for their tireless work helping us find the senior pets in shelters down there that needed us the most. 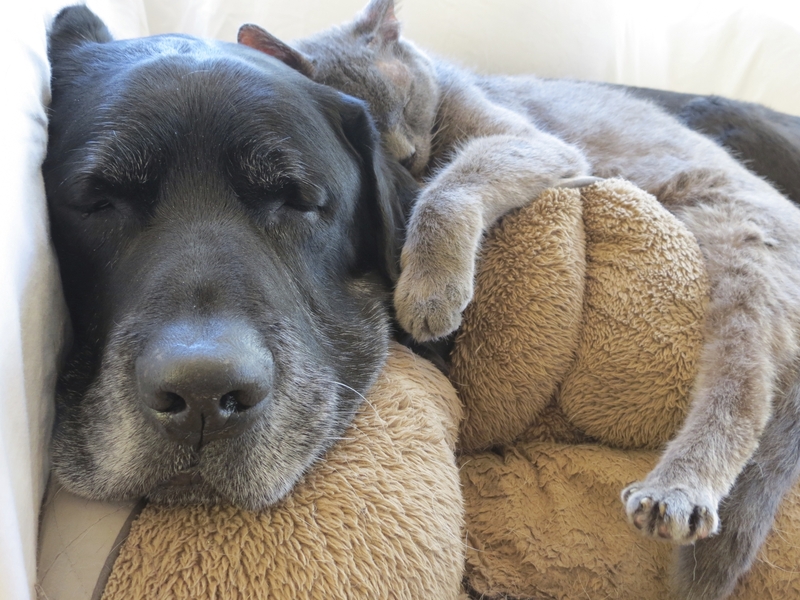 DONATE: If you'd like to help us care for the senior pets we'll be bringing back, you can donate here: http://srpets.co/yahharvey17 Or donate via snail mail at Young at Heart, PO Box 1293, Palatine IL 60078. Your donations are tax-deductible and these guys are going to need a lot of care! There are so many organizations working together to make a difference for the pets and families of Hurricane Harvey. Please continue to support groups such as Austin Pets Alive and Best Friends Animal Society as they continue the hard work on the ground in Texas. Thank you for helping us give the beautiful senior pets like Pearl a second chance here at Young at Heart!